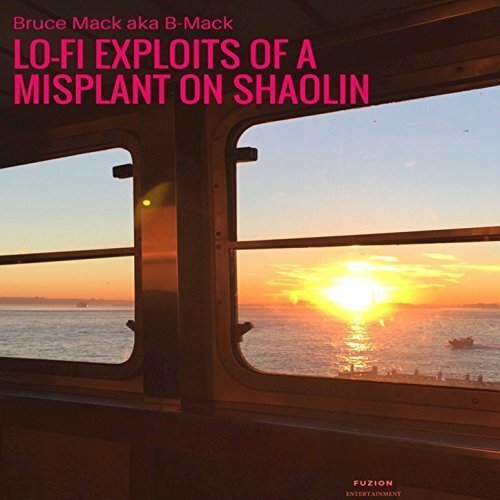 The writer, producer and performer of eclectic alternative music known as Bruce Mack has released his latest LP album, “Lo-Fi Exploits of a Misplant on Shaolin.” The record contains 11 original tracks for just over half an hour’s worth of listening. It has been proudly published as an independent release without the direction of the corporate music industry. Blending elements of soul, RnB, and even rock-n-roll, “Lo-Fi Exploits of a Misplant on Shaolin” is a record to put Bruce Mack on the map once and for all. Bruce Mack cites as main artistic influences a broad sampling of various sounds, including Jon Hendricks, Parliament Funkadelic, Junie Morrison, Joni Mitchell, Sun Ra, Eddie Jefferson, Dexter Wansel, and the BlackByrds. 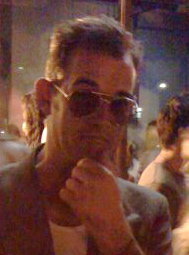 His own sound on “Lo-Fi Exploits of a Misplant on Shaolin” can’t be nailed down to a single pigeonhole, but suffice it to say, if an indie-rock crew were to smash into a jazz studio which then fell downstairs into a funk and soul club, the resulting style might sound something like this latest offering from Bruce Mack. Bruce Mack (AKA B-Mack or Ultron-B) has always been mixing music around. As co-founder of ’80s/’90s R&B/punk band, PBR Streetgang, B-Mack is a multi-instrumentalist and innovative singer with a broader versatility than that exhibited by many of today’s music artists. His popular 2015 track, “Karma Can Be Long” was featured on “Buddha Bug Records Mixtape Vol.1” on the Buddha Bug label. Mack worked as co-producer on Tricky Dilemma’s “John P. Parker: A View From 9 Dimensions” with DJ Val-Inc and guitarist Marvin Sewell in 2007. Bruce Mack is additionally a founding member of Burnt Sugar the Arkestra Chamber, bandleader of Melvin Van Peebles wid/Laxative, and the former president of the Black Rock Coalition. Mack is currently producing an EP to be released later 2018 for the band, Rules of Aquah, in which he is lead composer and front man. “Lo-Fi Exploits of a Misplant on Shaolin” by Bruce Mack is available from over 600 quality digital music stores online worldwide now. Get in early, fans of creative music everywhere.